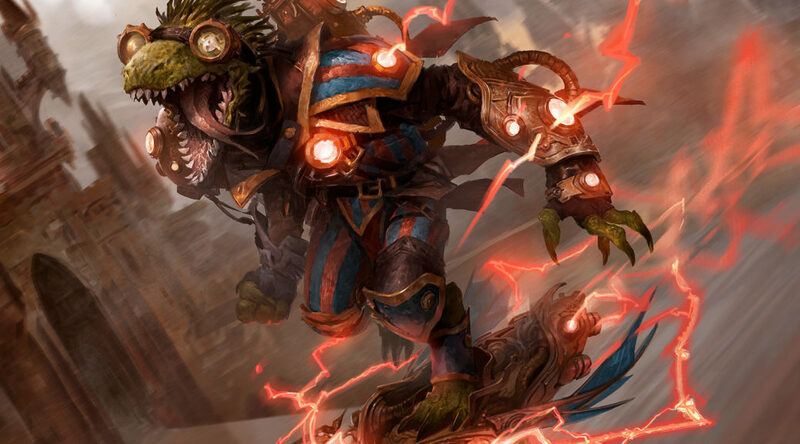 War of the Spark spoilers keep rolling on, and we’re all having a grand ol’ time with them. 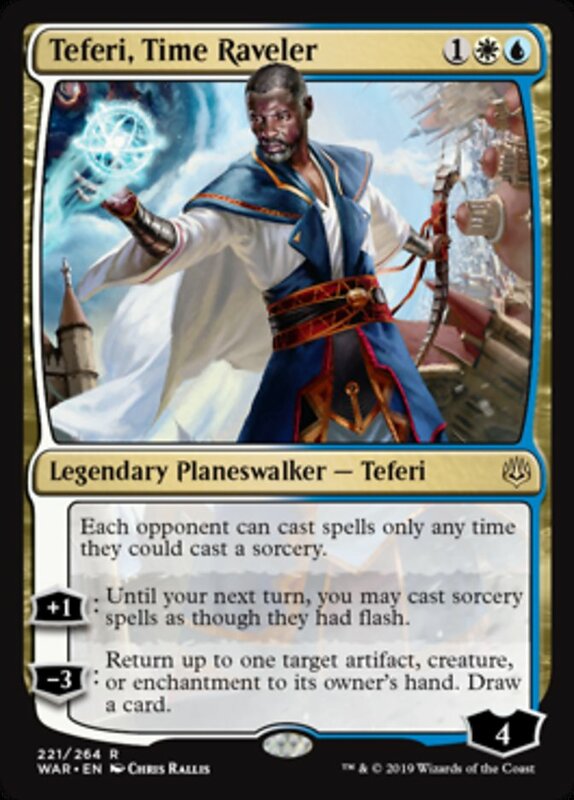 Flavorwise it’s exciting, as we’ve seen the Amonkhet gods die and suffer (?) 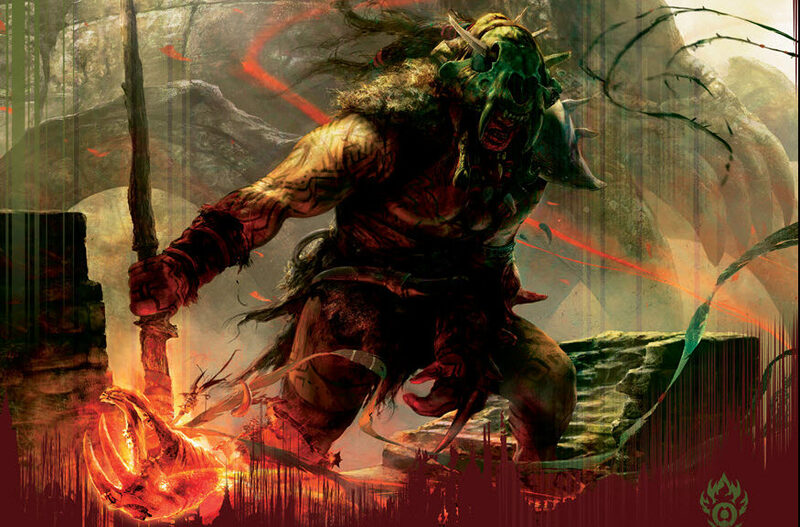 zombification, Domri Rade got de-sparked, and it’s looking like several more aren’t going to make it out of the fray unharmed. 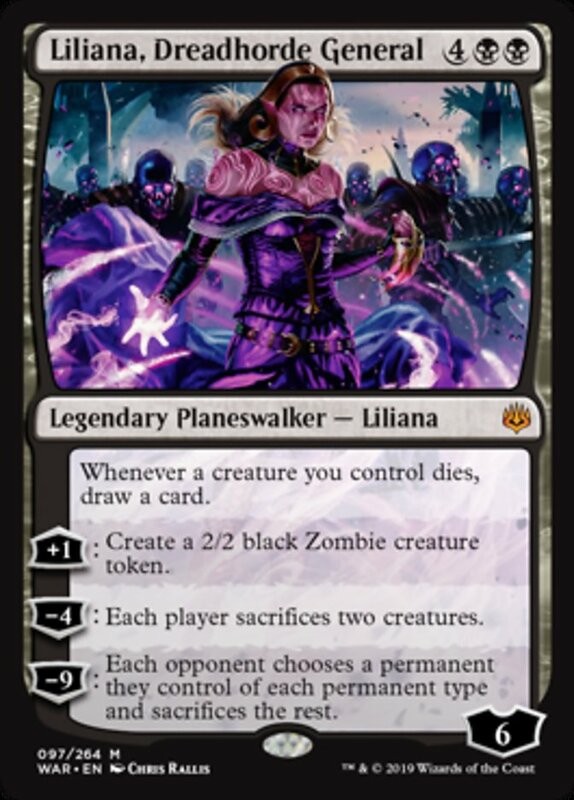 Mechanically, planeswalkers are sending everyone into a tizzy. 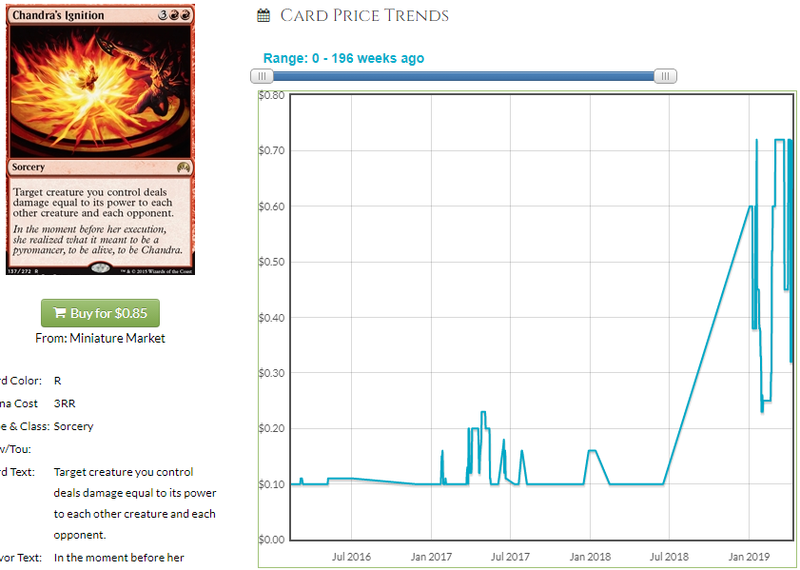 EDH channels are thrilled about all the new toys, and Fethers specifically has gotten people’s attention as a general that just looks, well, fun. 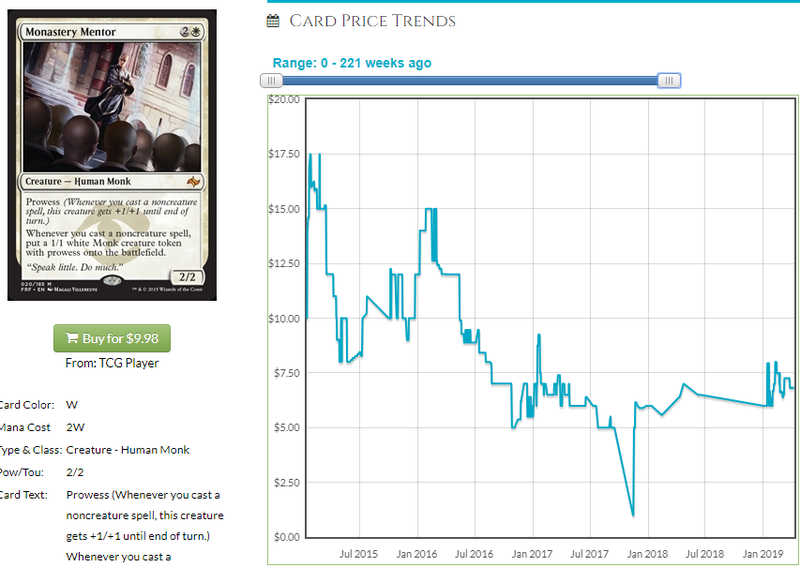 Modern is joining in on the fun too, though that’s complicated, as Modern Horizons spoilers are going to start shortly after WAR is on shelves, and that’s going to upend the entire format anyways. Anyone who has ever played Sidar Kondo knows the value of Fell the Mighty. Casting this on a two power creature is awfully close to a Plague Wind in most situations. Sure you won’t wipe their tokens, but you will hit all those creatures they sunk a ton of mana into. Then you go ahead and chip with all your small boys while they’re left with nothing. Nothing. The fools. In Feather this is even funnier, since you get back the card the following turn, which means you can fire it off every turn. Go ahead and play your Sun Titan after I wipe the board. I’m going to fell some mighty creatures every turn until you’re all dead. 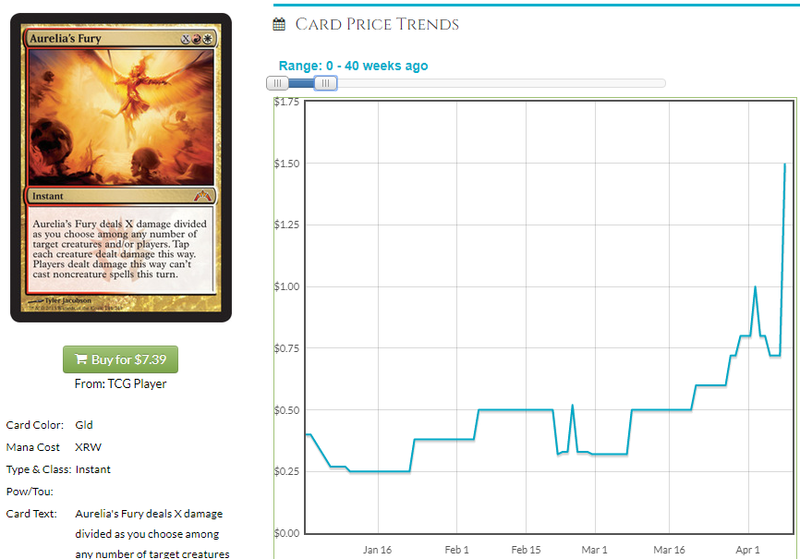 Despite having been printed in two separate Commander decks, supply on Fell is surprisingly sparse. You’ll find about 30 NM English copies of the original 2014 printing, and roughly that number of the follow-up 2017 printing. 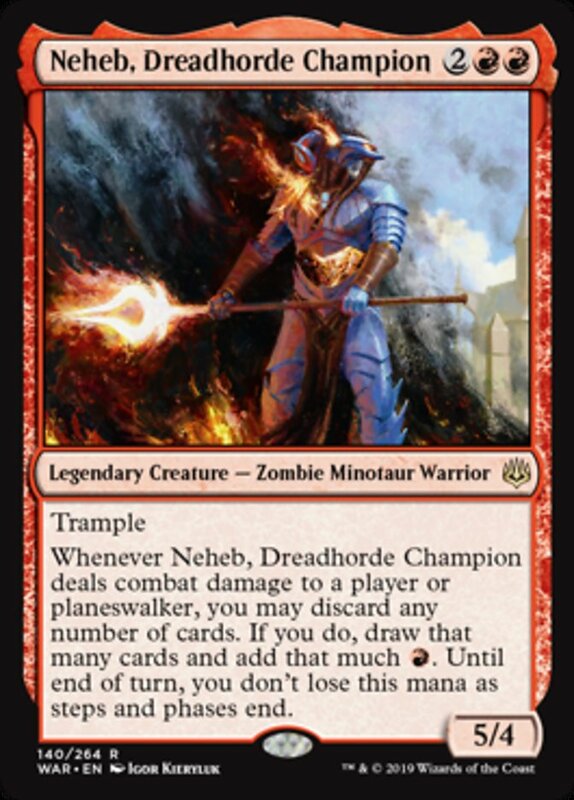 For a card that’s been printed in two Commander product and only has a reported 4,200 copies on EDHREC, that’s sort of surprising. One wonders. In any case, barring a reprint in this year’s Commander product, things are looking rosy for Fell the Mighty. 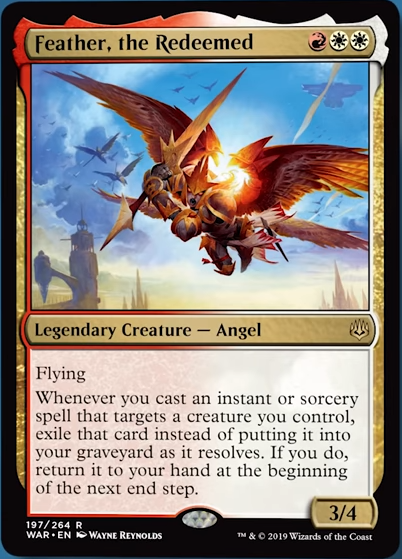 Every Feather player is going to be after a copy, and I see no reason this would be in Horizons. 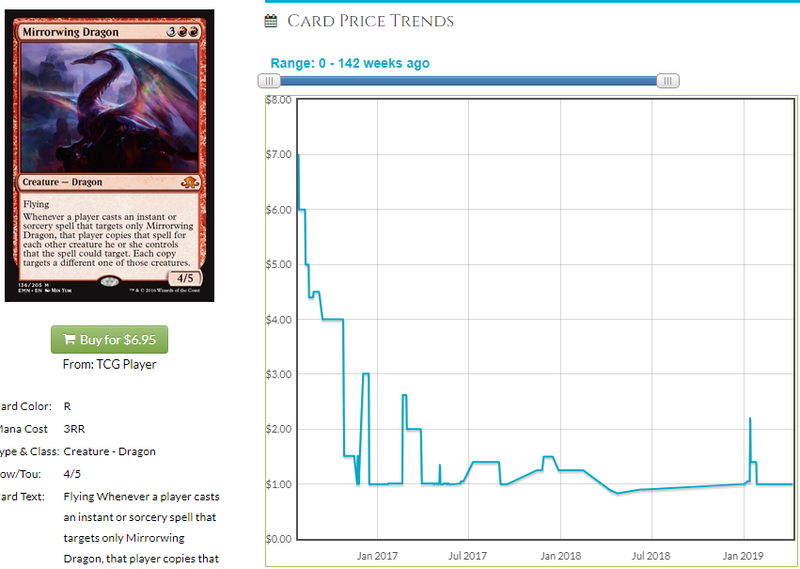 At $5 today, before Feathers players start grabbing theirs, I think $10 is certainly within reason before the summer is over. 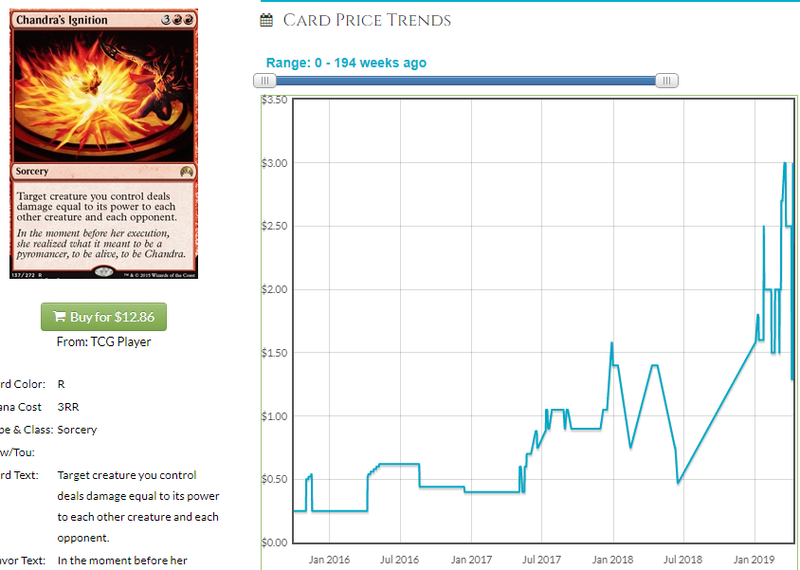 Checking Aurelia’s EDHREC page, you’ll see she’s not necessarily the most popular commander, with about 1,000 decks attributed to her. Flip over to her stats as a card in the 99 though, and things change. She’s in nearly 10,000 decks as a supporting member. That’s some potatoes. 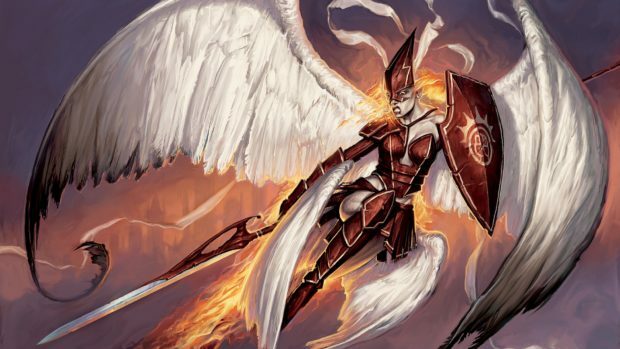 There’s no doubt she’s going to end up in the bulk of Feather lists, as she does an excellent job of letting you double dip on all those damage-improving spells you’ve played. She can get even sillier if you’ve got a Cloudshift in your hand, as you can attack with the team, trigger the second combat phase, blink Aurelia, and on the second attack phase, Aurelia will trigger AGAIN, giving you a third swing. I’m sure you can figure out a way to keep it going as well. 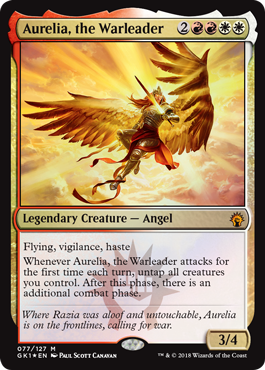 It’s hard to imagine Aurelia won’t make it into nearly every Feather list. 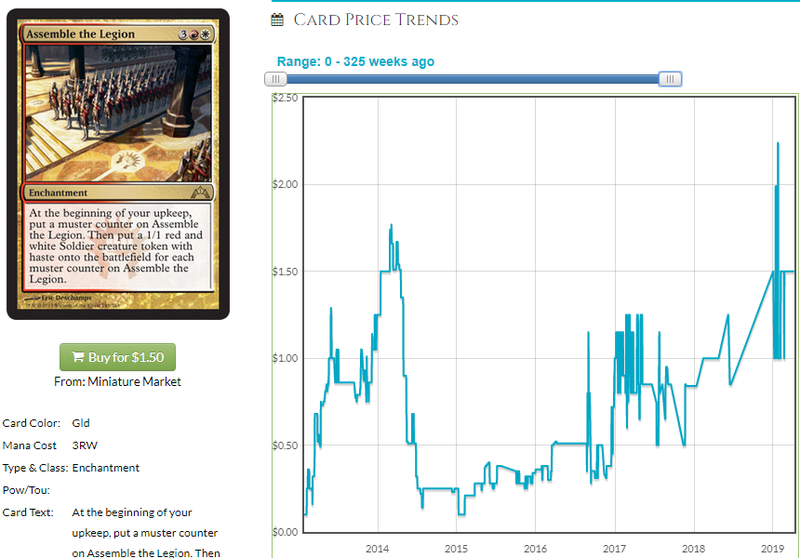 My suspicion is that the play here is the new Guilds of Ravnica Guild Kits that came out in September of last year, of which the new art, new border Aurelia headlined the Boros boxes. The art is great, the border is cool, and the supply is low. 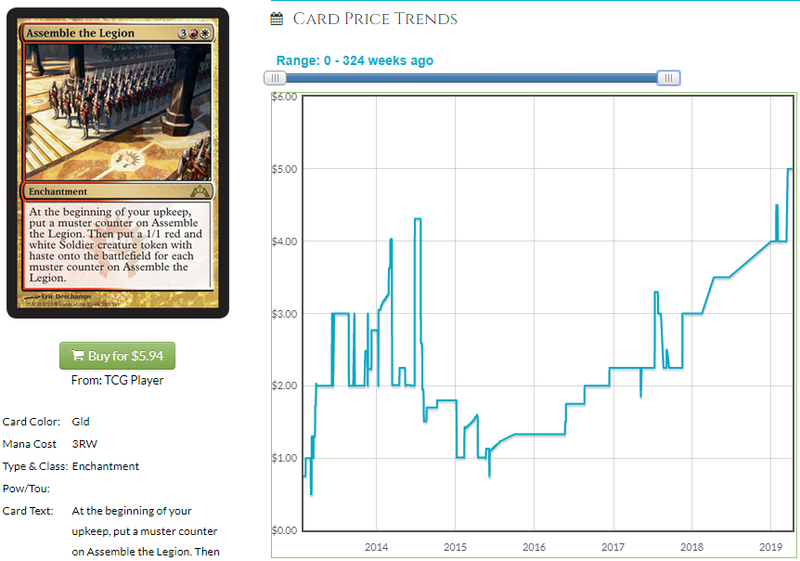 There are fewer than 25 copies on TCG right now, with zero at SCG. It’s only going to take a handful of Feather players to snag a copy to push this limited edition copy into the high teens. Our last stop on the Feather train this week is Tithe, and I’m not talking about the smothering variety. No, the original Tithe all the way back from Visions. This has been a staple of white EDH lists — for those aware of its existence — since basically the format’s inception. Each color that isn’t green has to do work to keep up with the mana production offered by that strategy. Tithe is a simple, powerful solution that fits just about everywhere. 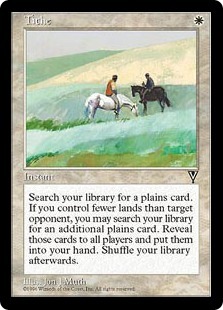 So long as you aren’t taking the first turn, Tithe lets you tutor up two plains — not basic plains, but plains — on turn two. Even though you don’t get to put them into play, putting two additional lands into your hand helps ensure you’ll keep making land drops as the game goes on. Tithe isn’t dead in the mid game either. Casting this when you’re on six or seven is great, as that’s when making a drop every turn slows down. Tithe gets you two more guaranteed plays, getting you into the eight and nine land territory in which you can play two spells a turn. It will also help color fix on whatever you’re shy on, since now you know whether to fetch your Sacred Foundry or your Scrubland or whatever. It’s a useful card at most stages of the game. 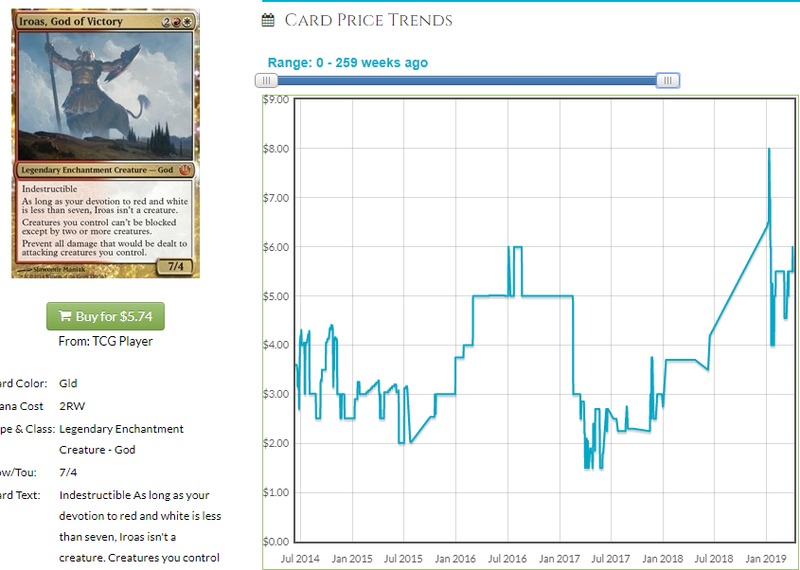 Tithe also happens to be on the Reserve List, which is no doubt an appealing aspect. 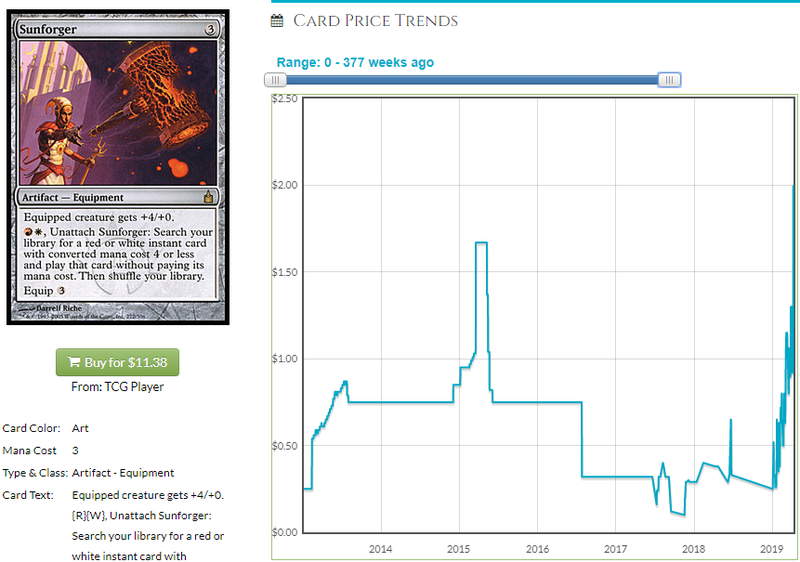 Not having to worry about Commander reprints means we can comfortably hang onto these bad boys and if they don’t spike in a month, hey, that’s ok. We’re not in danger of getting hit by an ill-timed rerelease. They’re safe to mature at their own rate, without constant babysitting. 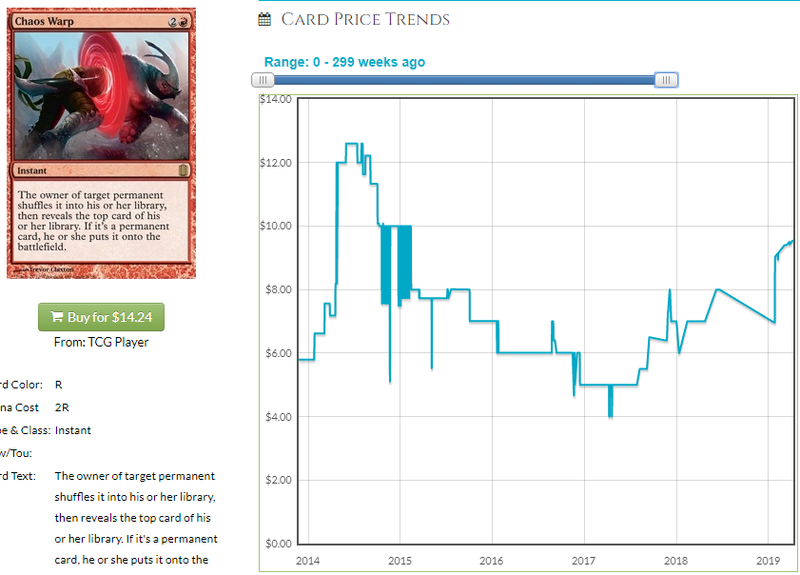 You’ll pay about $18 a copy right now on TCGPlayer, and there’s roughly 35. Fethers is going to draw more people to it for sure, but they aren’t deeply synergetic, so it won’t be dramatic. 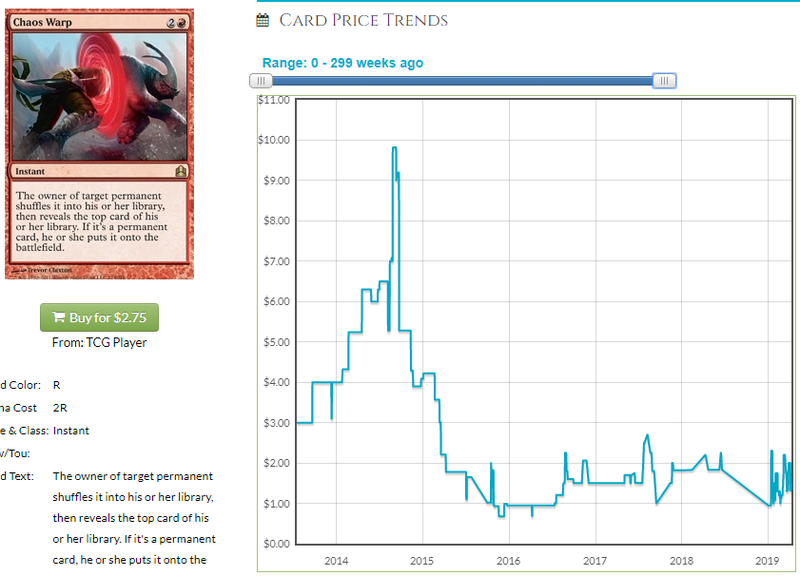 That’s ok though, because just 10 or 20 people picking a copy up is going to push the price, and with supply dwindling, it won’t take many to sell before this is a $30+ EDH “legacy” card.